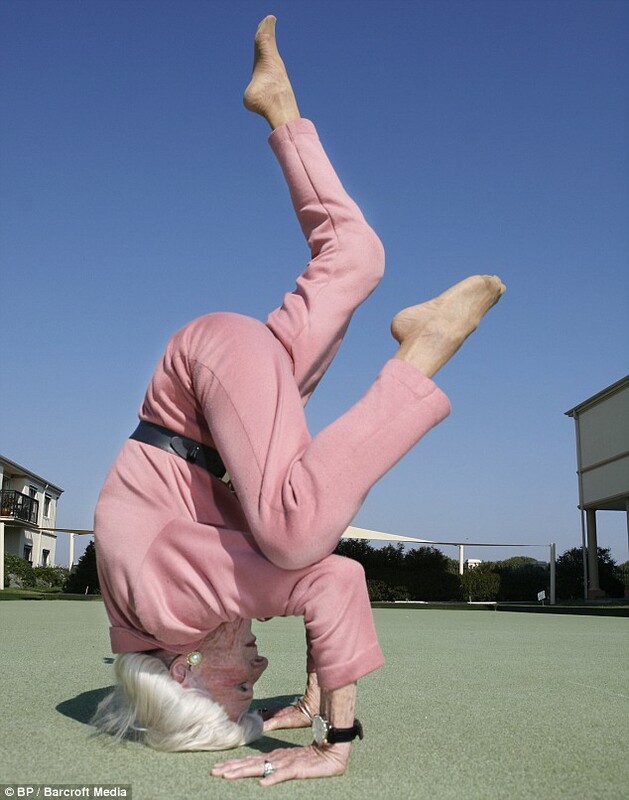 'It can stretch and stretch, and get better all the time. 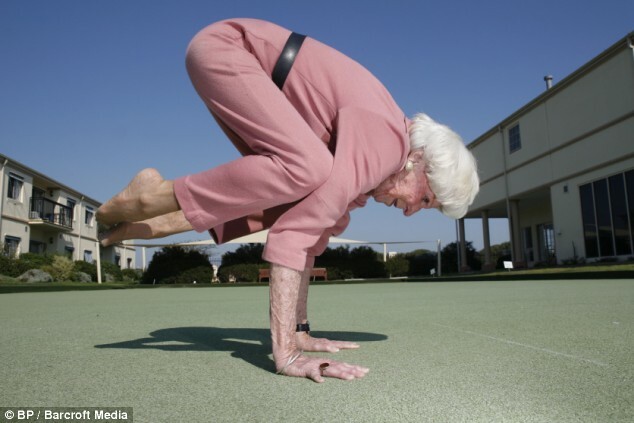 Forget age,' said Mrs Calman, the author of three yoga books including one called Yoga for Arthritis. 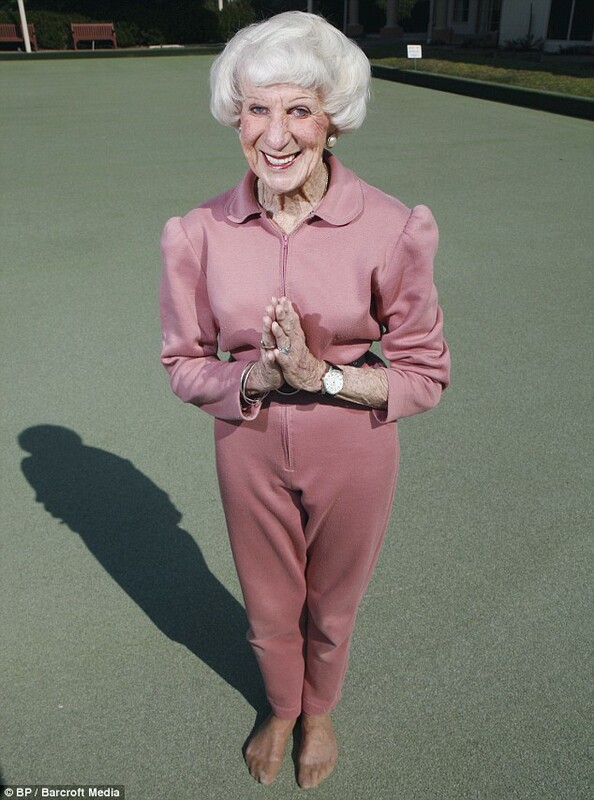 She was a pioneer of the regime in Australia in the 1950s, ran yoga centres for 33 years and made regular TV appearances in the 70s. 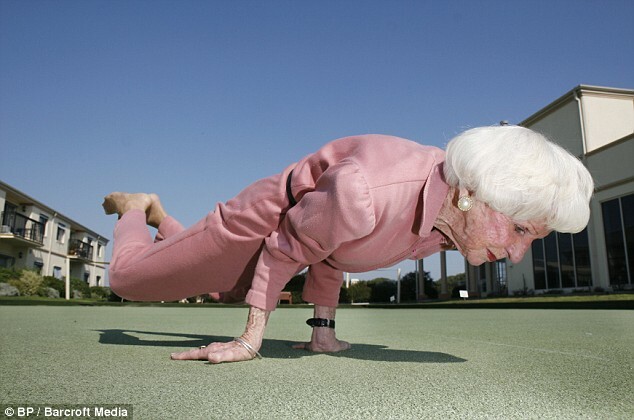 She thought she would take it easy in Melbourne, but was drawn back to teaching as yoga interest grew. 'I came here to retire, but my daughter, Susie, who's also a teacher, kept being pestered for fill-in teachers at her health centre. That was eight years ago,' she said. Mrs Calman teaches up to 11 classes a week with no sign of stopping and she keeps the 'corpse' posture strictly for her classes. 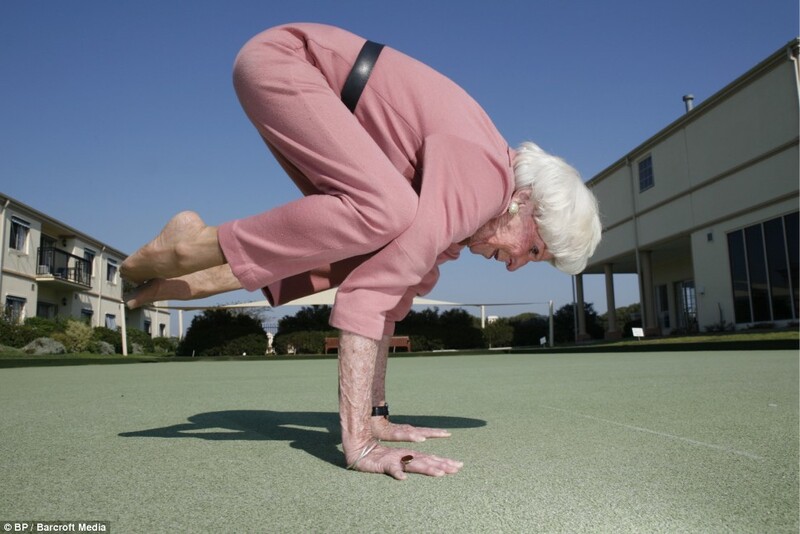 'Yoga keeps you young,' she said.